Hello there, everyone! It’s been a while since I’ve posted here. As many of you know, I have my own blog, and I usually cross post here as well. One of my garden blog followers said I was the inspiration for her garden and I just had to share the interview I did with her from my blog! DivaGardener: Why did you decide to start a garden? Shay: I decided to grow a garden because the difference between home grown and store-bought vegetables is incredible, and I love knowing exactly what I’m putting into my body. Lettuce actually has flavor–did you know that? DivaGardener: Is this your first garden? Shay: This isn’t my first garden, but it is my first attempt at gardening in about 10 years. For the first time in almost 10 years I’ve got a stationary enough lifestyle to be able to manage a garden. DivaGardener: What do you like most about gardening? Shay: My favorite thing about gardening is watching all of these amazing little plants spring from practically nothing. My neighbors walk by, and most of them stop to find out what I’m growing and ask questions about how I manage it. I’m really hoping to inspire more people in the neighborhood to start their own little gardens- there is just no better thing to bring to a dinner than a giant salad, made entirely from vegetables you’ve grown. DivaGardener: About how much did it cost you to make your garden? 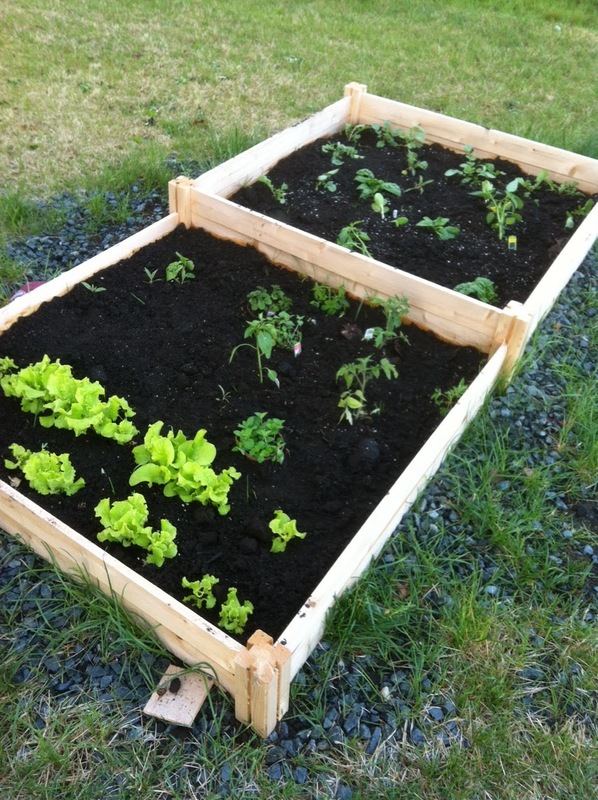 Shay: It cost me about $120 to get started, which included wood for a raised garden bed, soil (I also added manure and hummus to enrich the soil), seeds and some seedlings. I didn’t use even close to a whole bag of any of the seeds, but as I’m pulling up radishes or lettuce (or those seedlings that didn’t make it) I still have plenty of seeds to replant. DivaGardener: What advice would you like to share with someone who wants to start their own garden? Shay: My advice for anyone who wants to start their own garden in this area is to consider using a raised bed if you have soil like I did – solid red clay. I tried to plant things last year and they all died because they just couldn’t make it in the soil, and trying to improve your soil is a huge job. It only took me a few minutes to set up my raised bed, and my plants are all thriving. The other thing I’d say is not to give up. You’re guaranteed to have some set backs because plants can be finicky, but stick with it and the rewards are so exciting! DivaGardener: What type of soil did you use to start your garden (did you buy bagged soil or compost)? Shay: I purchased bags of soil, and I have a composter in my yard that I use to feed the soil on a regular basis. DivaGardener: What’s it like to eat fresh veggies that you grew yourself? 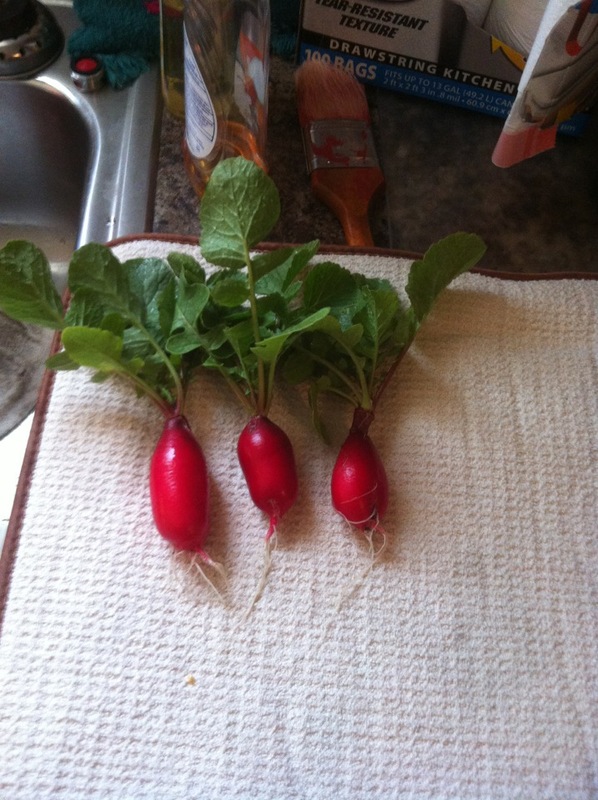 Shay: The radishes I’ve pulled up so far are a little sweet and a bit spicy. I love them. Butter crunch lettuce beats the pants off of anything you can buy in the store, any day, and I’ve been making mojitos and iced tea with the three different kinds of mint I have growing. Even drinking a mojito, it feels like I’m being nice to my body by feeding it fresh, organic mint. Added bonus- my arms look great from working in the garden! So there you have it, garden gals and guys! Having your own garden has many benefits including getting in a good workout!! Thank you so much, Shay, for taking time to share your story with us!!! Until next time my garden gurus…..
Hi, Henry! That's awesome! You definitely don't have to have a big garden to grow lots of food. I get so excited when I hear people say that they have small gardens. People who don't have gardens think you have to make your garden huge, which is simply not true. I'm glad you are enjoying the fruits of your labor!